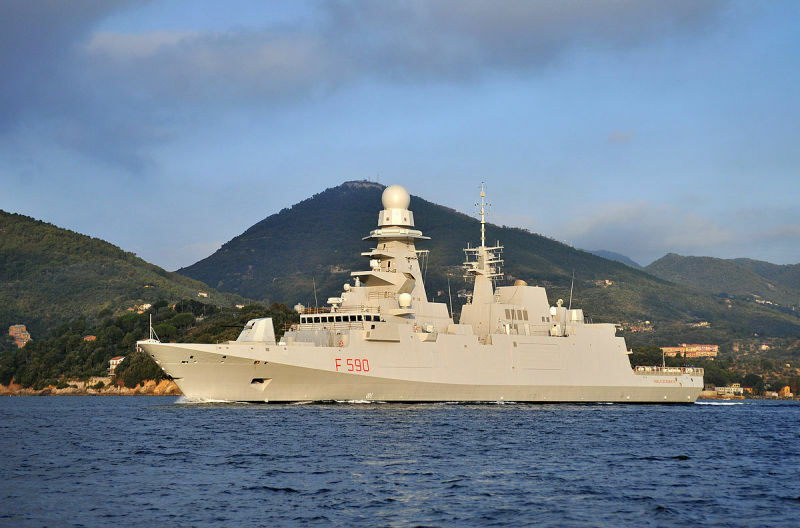 The $35 billion Future Frigate project reached a significant milestone today with the release of the Request for Tender (RFT) to the three shortlisted designers; BAE, Fincantieri and Navantia. Minister for Defence Industry, the Hon Christopher Pyne MP, said the Future Frigate project is currently the largest frigate shipbuilding program of its kind in the world. “Today’s announcement shows the Government is on track to begin construction of the Future Frigates in 2020 in Adelaide,” Minister Pyne said. Minister Pyne said evaluation of the responses to the Future Frigate RFT would commence later this year. “Three designers—BAE Systems with the Type 26 Frigate, Fincantieri with the FREMM Frigate, and Navantia with a redesigned F100, have been working with Defence since August 2015 to refine their designs. “The three shortlisted designers must demonstrate and develop an Australian supply chain to support Australia's future shipbuilding industry, and also how they will leverage their local suppliers into global supply chains. The Future Frigates are the next generation of naval surface combatants and would conduct more challenging maritime warfare operations in our regions including delivering a greater impact on anti-submarine operations. The frigates will also be equipped with a range of offensive and self-protection systems. The nine Future Frigates are part of the Government’s $89 billion national shipbuilding endeavour which would see Australia develop a strong and sustainable naval shipbuilding industry. This critical investment will generate significant economic growth and sustain thousands of Australian jobs over decades. Hmmm, wonder who will get it. The Italian Fremm is the only class of ship in the short list that actually exists and has a very good reputation to go with it. Although that didn't count for much when it came to the LHD and submarine selection. From what I have heard, their are a lot of major changes between the AWD config and the proposed version of the F100 for this bid. So it is seen as almost a conceptional design, combined with the loss of skill set from Victoria and NSW where modules were also manufactured. This means their is not a lot of advantage to selecting the F100 from a building perspective. Although supply chain may have an advantage when it comes to sustainment. There are growing doubts within Defence and among industry figures about the ambitious goal to start "cutting steel" on Australia's Future Frigates Fleet within three years, but the Government is remaining confident construction will begin in 2020. "When it's finished we'll have the most modern anti-submarine warfare destroyers in the world," Defence Industry Minister Christopher Pyne said. Three international shipbuilders are competing for the $35 billion project, which the Minister has hinted could be awarded within a few months in order for construction to begin by 2020. Spanish shipbuilder Navantia is offering an evolved version of the Hobart-class destroyer, Italy's Fincantieri warship would require some local modifications and the United Kingdom's BAE is proposing its cutting-edge Type 26 design frigate, which is yet to be built. "The anticipated timeframe for the announcements around the Future Frigates was (the) second quarter of 2018, I'm very confident that we'll be able to bring that forward and there will be earlier decisions — but I'd rather under-promise and over-deliver the time," Mr Pyne said. "What I'm trying to do as Defence Industry Minister is reduce as many of the lead times as possible, to give the successful tenderer as much time as possible to prepare to cut steel in 2020 and I think that can be done and Defence is working very well with me to make that happen". However senior officials within the Defence department, and numerous industry figures, have told the ABC they are concerned the push to start "cutting steel" on the complex warships will be too tight. Leading Defence expert Andrew Davies from the Australian Strategic Policy Institute shares the concerns. "The history of complex projects shows that the more mature the design is, the higher the percentage of drawings you have finalised and signed off before you start, the better the outcome is. And I worry a little bit that we're going to have to rush," Mr Davies said. "That timeframe looks a little bit too tight for comfort. "Now ultimately it's an engineering decision that somebody has to make but I do worry that it might get trumped by the politics of the shipyards." The SEA 5000 project will also involve the selection of a cutting-edge combat management system, which will need to incorporate the government-mandated and locally-manufactured CEA radar. The two companies selected to compete are SAAB Australia, which is offering the locally-developed 9LV combat management system that has already been integrated with the CEA radar, and American giant Lockheed Martin which is proposing its Aegis system. Before a final ship design is announced, a decision on the combat management system will be made, but the Defence Industry Minister is giving no hints on a preferred option. "We have great capability in Australia, there's no doubt about that. There's also great capability in the United States and where the United States has the best capability, the best value for money and proven Australian Industry Content (AIC), well they should be just as competitive as anybody else in the world," Mr Pyne said. I reckon and announcement will be made at PACIFIC 2017 which is a Darling Harbour Convention Centre in early October. Announce it when they are all there on the world stage. Probably, it'll get an international splash there. I fired off a letter to MoD - asking for transparency in how they arrived at the last three. Strangely they sent back a RAND corporation study in full - in a 250 page book that retails for $49.50 - which is a weird and costly way of answering a Ministerial. Of course this didn't answer my question as to why the Dane's were excluded but reinforced the fact that according to the RAND study they should have been included. - Yes this is a govt operation - so lest I am so surprised (not). We will never know why we got the last 3 (particularly the T26), which I think is a patsy - used purely to make up comparable numbers to cost, and then say it was excluded when it never had a chance as an unbuilt - unproven and costly design. But as Defence has a $35bn credit card - let's see how fast they max it out and ask for a credit limit increase. So wanting to place a bet it is in my view a 2 horse race. Surely the most decisive criterion will be "which is the most marginal Govt Seat we can build these ships in?". Don't worry about any other difficulties. Future issues aren't a consideration because it will be another Defence Minister or even another Govt when the manure hits the air conditioner. Votes Now is what it is about. The decision about where to build them was never in doubt, Adelaide was chosen because it provides the most bang for the marginal seat buck.